Nowadays, customer service is more than just responding to queries; it’s a full blown strategic department aiming to strengthen the customer experience. Yet delivering experiences that consistently impress the customer and stand out from the crowd remains a difficult endeavor for most contact centers. Executives are placing bandage solutions on problems and failing to realize that it’s a marathon, not a sprint. 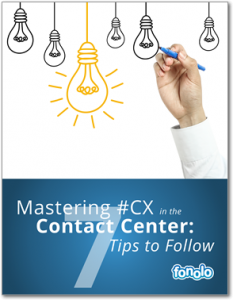 CX management is about managing customers, processes, agents, metrics, and technologies – these things just can’t turn around overnight. Although it requires a tremendous amount of time, effort, and attention to detail, the upside is worth the investment. Companies that excel in delivering a superior customer experience realize a growth in revenue and earn stronger loyalty among a customer’s lifetime. If your serious about building a compelling customer experience, it’s time to develop thorough, well-thought out answers to these three critical questions. Social media tools such as Twitter and Facebook have influenced customer experience management in a big way. Companies are investing in new technologies to keep pace and maintain good customer relations. Are you active on all the social channels your customers communicate on? Why you should answer yes – You must be present where your clients are active. Be there to respond to any and all comments and questions, whether they’re big or small. Companies are now communicating with customers through multiple channels. For ease of use, they are utilizing CEM technology for a single view of the customer. Do you have the technology to handle cross-channel communications without a drop in customer service quality or consistency? Why you should answer yes – Multiple channels should be viewed as a cohesive entity, not separate and unconnected. This is critical to the success of the customer experience. Contact centers have generally been viewed as a last stop for customers to air their grievances, but now organizations are seeing contact centers as another way to drive business, increase customer profitability and strengthen relationships. Do you invest in your call center agents? Why you should answer yes – Businesses are at risk if they do not capitalize on the link between satisfied employees and happy customers. Incentivizing your agents will ensure happy customers.